The warm seasons are just around the corner. That means you want your AC unit working properly. Yet, if you are discovering ice on your unit, then this is an issue that you need to address. If you have frozen air conditioner lines, then the unit will not cool properly. It can even damage the unit if left to continue to freeze. So what causes AC lines to freeze in your unit? 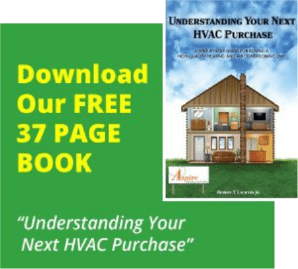 First, it is important to know how your air conditioner works. There is a part inside called the evaporator coil. Your unit works because it allows this coil to expand refrigerant (typically the Freon brand) in it. This allows the coil to cool down fast. Your air conditioner then blows over the cooled coil. Hence, it cools down the air. Simultaneously, the refrigerant takes away the hot air from inside. The hot air compresses when it travels outside. This is how the warm air transports out of your home. This cycle continues, to keep your home cool. Now that you understand how an AC unit works, it is easier to see why it can freeze up. Something is causing the refrigerant in the unit to expand more than it should. This would make the coils colder than normal. Thus, allowing them to freeze. The hot air in your home is not going into the unit. That would cause the evaporator coil to dip below freezing temperatures and it would freeze. Your unit may be low on refrigerant. It will continue to work the same without this needed fluid. This would cause your AC’s evaporator coil to dip below freezing. Thus, allowing the moisture in your air to freeze when it encounters your coil. There can also be maintenance issues that need addressing. Examples of these possible problems are a malfunctioning fan, kinked hose or a clog. These issues can cause an imbalance in your unit, which may make it freeze. You can count on Aspire Heating & Cooling for all of your air conditioner repair and maintenance services. If you find that your AC lines are freezing, Aspire can identify the problem and repair it. Count on them for quick response, honest upfront pricing and accountable solutions. Having seasonal inspections of your AC unit will help prevent the chance of your AC lines freezing. With regular maintenance of normal unit wear, you can save money down the road by preventing large repairs. Aspire technicians train constantly and update their education in new techniques and technologies. Their services follow the Energy Star Recommendations and the American National Standards Institute. Aspire Heating & Cooling will honestly and accurately find the answer as to what causes AC lines to freeze in your unit.